Lendio Capital is a business financing platform that matches its customers to their network of over 75 business funders. Its funding partners offer a range of products including SBA loans, lines of credit, short term loans, and more. Here, we cover Lendio reviews and pricing. Ready to get started? Get loan offers. Users who gave Lendio Capital a positive review like its fast process and approval. They added that its customer service representatives are knowledgable and professional. One user who gave Lendio Capital a positive review on Trustpilot said that it is a great company with realistic loan offers. He likes that it has no crazy high fees and no hidden costs. He added that Lendio Capital representatives treated him well. Users who gave Lendio Capital a negative review said that they had to provide a lot of documentation to start the process. Some also mentioned that after submitting their personal information, they received multiple inquiries from different lending companies, which they said is annoying. One user who gave Lendio Capital a negative review on Consumer Affairs complains that he is receiving no less than six calls per day after providing them his personal information. Lendio pricing does not apply to borrowers. It receives a commission from their funding partners. Fees vary depending on the partner funder you’re working with. For instance, their short term loans’ interest rates range from 8%-13%. Charges may include interest or a flat fee, administrative fees, origination fees, prepayment penalties, and other fees depending on the funder. Above are some sample details of loan types and rates its partners can offer. Ready to get started with Lendio Capital? Get loan offers. Best SBA Lenders: Top 100 SBA Lenders: With more than 3,000 SBA lenders nationwide, choosing the best SBA lender can be difficult. Some of the best SBA lenders approve average loan amounts of about $75,000 to more than $1.5 million, with interest rates averaging around 6.4 percent to more than 9.2 percent. In this guide, we’ll show you the 100 top SBA lenders per current SBA data, and review 10 of the top SBA lenders. Is Lendio a direct lender? No. Lendio is an online lending marketplace. They help small businesses find loan options from their network of more than 75 lenders. How long has Lendio been in business? 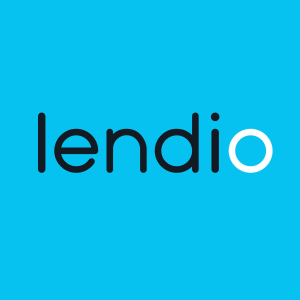 Lendio started their online lending marketplace business in 2011. Have you read these Lendio Capital reviews and are still not sure if it’s the right fit for you? Read our reviews of all top lenders or check out one of these three Lendio Capital competitors.